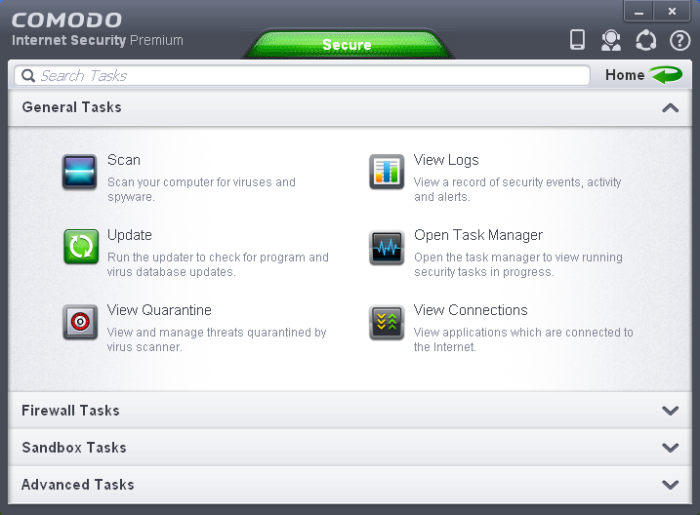 The 'General Tasks' interface allows you to quickly perform antivirus scans, update the virus database, manage quarantined files, view CIS event logs, view and manage Internet connections and manage CIS running tasks. 'General Tasks' contains the following areas. Click the links to jump to the help page for that topic.